I dreamed that I was driving to a meeting at a Hollywood studio. I was afraid that I might be late so I decided to sleep over in one of their offices. I didn't have a blanket so I wrapped myself from head to toe in a tallis (like you would do for a dead person). When I returned home, I was told that over one million dollars in jewels was stolen. I was confused. Then I looked over and The Rebbe was next to me. We were sitting on the floor near a bed. He gave me comforting words and spoke of the jewels. I had an idea in my dream that the jewels were Jews. On the tip of his nose was a tiny brown spot not even a millimeter long. It was symbolic of his tiny aveiros he did in this world (I had learned that when one stands before the Heavenly Tribunal they are clothed in dirty garments, the dirt of their sins). I looked over and saw a relative of my wife's (who's last name is actually a form of "Lubavitch" namely Lebovics). He was sitting at a table. He took a large jar of honey and took out a big scoop. He placed it on a sour grapefruit half. He then looked at me. I knew the symbolism: The sweetness of Geulah is near and will temper the sourness of Galus. Can anyone pick out the blatent prejudice and half-journalism from and article on the front page of the LA Times this morning? ... some Jewish groups in Jerusalem hope to clear the path for their own messiah by rebuilding a temple on a site now occupied by one of Islam's holiest shrines. Hey, at least they finally used the term "occupied" truthfully. I wanted to share Hashem's goodness and mercy. Over a month ago, I wrote to friends and family: "I have suffered severe post traumatic stress which I have had to deal with since my first femur break in 1971 at the age of three. My body shuts down and goes into a shock that is possibly the worst feeling a person can imagine. That coupled with the intense excruciating pain of the actual break is my own personal hell. One I have had to deal with many times. In 2002 I slipped on a curb and got a hairline fracture in my left femur. I recovered but the pain never went away. Last year I went to an Orthopedic surgeon who found a growth on the head of my femur called an “Heterotopic Ossification.” It was the size of a softball. I went in for surgery to have it removed and for the doctor to remove the rod that had been in my left leg for nearly twenty years. He tried every which way to remove it by banging it out, but it would not budge. He sewed me up and that was that. Since then I have been having intense, unbearable pain in that leg. I move by use of crutches, a walker and a wheelchair. It is 24/7 and has a effect on every aspect of my life. I thought I was getting better until yesterday. I went to see one of the top trauma surgeons after two Orthopedists basically gave up. This doctor then found something on the X-ray that no one else had noticed. The rod in my leg is bent and broken half way through. In short, that means my leg can snap at any time. Walking, sitting, rising, going to the bathroom can make my femur break and then I will be in hell once again. I don’t know what is worse the trauma and pain or knowing it could happen at any second. My two options are these: Do nothing, which is not an option or have a minimal 4 hour surgery where the specialist will try and remove the rod even though it will probably snap off and leave the rest in my leg. If that is the case, he will have to place steel plates on the outside of my femur and drive many screws into it to stabilize it while I have a broken in my leg for life. The doctor practically had tears in his eyes and told me to inform my family." What happened: Last Thursday I went into surgery. The doctor prepared me for the worst and most probable case scenario: The rod would snap off and I would need steel plates and screws as kind of a "stop gap" solution to my problem as the old rod had fused with the femur bone and wouldn't budge. I davened and cried to Hashem. I begged Him for a miracle. I asked Him to allow my leg to release the rod and make it an easy surgery. And He answered me. As I awoke, I was informed that yes, the rod did snap, but somehow the surgeon was able to remove the broken part from the bone and then installed a brand new 2006 titanium rod in its place. The doctor himself was astonished. Instead of months of pain and no weight bearing, I was told that I could put full weight down on it and use a walker to get around. I am now using only Alieve for pain. Thanks you Hashem for answering my tefilos. 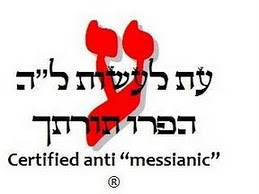 May He answer all the sick of Klal Yisrael! Contradicting most of his colleagues, a former senior leader of the Waqf, the Islamic custodians of the Temple Mount, told WorldNetDaily in an exclusive interview he has come to believe the first and second Jewish Temples existed and stood at the current location of the Al Aqsa Mosque. 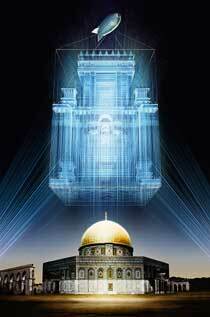 "Prophet Solomon built his famous Temple at the same place that later the Al Aqsa Mosque was built. It cannot be a coincidence that these different holy sites were built at the same place. The Jewish Temple Mount existed," said the former senior Waqf leader, speaking to WorldNetDaily from an apartment in an obscure alley in Jerusalem's Old City. The former leader, who is well known to Al Aqsa scholars and Waqf officials, spoke on condition his name be withheld, claiming an on-the-record interview would endanger his life. While the Islamic leader's statements may seem elementary to many in the West, especially in light of overwhelming archaeological evidence documenting the history of the Jewish temples and description of services there in the Torah, his words break with mainstream thinking in much of the Muslim world, which believes the Jewish temples never existed. "I am mentioning historical facts," said the former leader. "I know that the traditional denial about the temple existing at the same place as Al Aqsa is more a political denial. Unfortunately our religious and political leaders chose the option of denial to fight the Jewish position and demands regarding Al Aqsa and taking back the Temple Mount compound. In my opinion we should admit the truth and abandon our traditional position." The leader said his conclusion that the Jewish temples existed does not forfeit what he calls "Islamic rights" to the Temple Mount and Al Aqsa Mosque. Me: Wow. And here I was questioning the Torah, the Prophets, the Writings, The Mishnah, the Gemara, Josephus, Philo, the Dead Sea Scrolls, Kabbalah, archaeological evidence, historical fact and a tradition handed down from father to son regarding our Priestly status (not to mention the X-tian bible's references as well as those in the Apocrypha and Pseudepigrapha). I am going in for surgery on Thursday morning so this site will be down for a week or so. Please have good thoughts and daven for Yehudah Tzvi Ben Elisheva. is the anniversary of the birth and Yahrtzeit of Yehudah, son of Yaakov Avinu and Leah Imanu. He was born on this day in 1565 BCE and died 1446 BCE (or 1436 BCE). 8. Judah, [as for] you, your brothers will acknowledge you. Your hand will be at the nape of your enemies, [and] your father's sons will prostrate themselves to you. 9. A cub [and] a grown lion is Judah. From the prey, my son, you withdrew. He crouched, rested like a lion, and like a lion, who will rouse him? 10. The scepter shall not depart from Judah, nor the student of the law from between his feet, until Shiloh comes, and to him will be a gathering of peoples. 11. He binds his foal to a vine, and to a tendril [he binds] his young donkey. [He launders] his garment with wine, and with the blood of grapes binds his raiment. 12. [He is] red eyed from wine and white toothed from milk. until Shiloh comes [This refers to] the King Messiah, to whom the kingdom belongs (שֶׁלוֹ) , and so did Onkelos render it: [until the Messiah comes, to whom the kingdom belongs]. According to the Midrash Aggadah, [“Shiloh” is a combination of] שַׁי לוֹ, a gift to him, as it is said:“they will bring a gift to him who is to be feared” (Ps. 76:12). "While the Hamas/Palestinian Authority continues to claim hunger and impoverishment because of the world's financial boycott, 111 truckloads of TV sets have entered Gaza over the past two weeks." What part of "conquered" do you not understand? We have to start a worldwide Islamic-Arab fund with the purpose of saving Jerusalem before it is lost to us." So says Sheikh Raad Salah, head of the Islamic Movement in Israel and Hamas supporter. The Sheikh, a long-time enemy of Israel, called upon Arabs this week to continue their efforts to conquer Jerusalem. "The battle for Jerusalem does not involve tanks or artillery," Salah said. "Instead, the various Zionist institutions have employed a low and detestable style, with the support of American forces and other Western forces. These institutions work to collect billions of dollars, trying to put their hands, like pirates, on every cubit of the exalted land of Jerusalem, and on every home and every store and every market and every neighborhood and every holy part. This is, most unfortunately, what is happening night and day." I was standing in a palace and a wise, old man was sitting on a throne. I walked over to him after he beckoned for me to do so. He said (while pointing to his forehead): "Do you have eyes here, Judah?" "Do you have eyes here (while pointing to his hips)?" "Do you have eyes here (pointing to his heart)?" "Well," he replied, "you should feel honored to have eyes that see the future and understand the messages of the L-rd." I was sitting in a dismal, empty room at dusk when I looked upon the ground and saw a body wrapped in a tallis from head to toe. I started to weep, for I knew it was my own physical body. but no one would assist. I wept some more, for I knew I wasn't permitted to touch a dead body. I went to the Rabbaim of my own Yeshivah to find counsel. They yelled at me: "What did you learn in Gemora concerning this?" "I don't remember," I replied. The Rav glared at me with contempt. "You didn't tell me how much you like the crease in my hat!" And with that, he walked away. Again I wept, but regained my strength. I stood and declared: "This is not truth!" A bachur walked by and told me to unwrap the tallis and look the dead one in the face. I picked it up, carried it on my shoulder and buried him in the ground. I was standing in the rebuilt Beis Hamikdash in the Ezras Kohanim. I was filled with a spirit of love and peace. Crying, I dropped to the marble floor and prostrated myself before the Holy Paroches. I bowed as I wept and thanked Hashem for rebuilding His house. I stood up and behold, I saw a Torah scroll unrolled before me. Another Kohain came over and asked me if I knew which parsha it was. He pointed and said that it is Parshas V’Zos HaBrachoh and Parshas Bo. I walked over to a shtender that was set up for prayers and saw a picture of the Rebbe sitting upon it. I was filled with question and doubt. Then an angel of Hashem appeared. She was my Guardian Angel! She showed me all my questions suspended in mid air. I was overwhelmed for there were so many questions. Then, with a smile on her face, the Malach revealed the answers to ALL my questions and the answers were suspended in mid air. I dropped to my knees in gratitude and quickly tried to write the answers on paper. But as I wrote, the Malach waved her hand and the answers disappeared. I was confounded, but happy knowing, knowing that my questions did indeed have answers. I was standing in a holy place. Perhaps a shul. A frum man lead me to a room where he pointed to the wall. Written on the wall in Hebrew was the word "Baruch" (blessed). to read the spaces, the emptiness between the characters. Once I looked closer I understood what was written. It was the word "Oreach" (guest). I have kept a dream journal since 1987. I have had many spiritual dreams that have much meaning for me. I am going to post some random ones. Please feel free to comment and also post your own. I was sitting in my house and on one couch was Avraham Avinu in his last days. Around him were Isaac, Jacob, Rebecca, Rachel and Leah. They were all dressed in Biblical clothing listening to his wisdom on his death bed. I arose and there was a gentile man also dressed in Biblical garb and he spoke to me, saying: "How can you be so calm when your father Avraham is dying?" I replied: "Avraham will die, but his children will live forever. Become one of us and become eternal." I was standing in front of a woman whose head and face were totally covered in old rags and bandages. I stared to unwrap the cloth, but it seemed to be never ending. She stared to speak in a raspy voice. "I am your Besheret, but I am sick. Go. I give [my then fiance, now my wife] to you for a gift." The woman was the holy Shechinah.